All roads lead to Rome. The Via Francigena is an ancient pilgrim trail starting in Canterbury Cathedral, Kent, England; crossing France and Switzerland before reaching Italy. 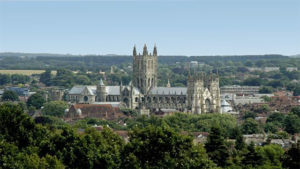 You will start your Via Francigena walk in Canterbury, a city with a great amount of history, closely linked with religion. 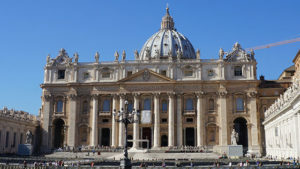 Its one thousand year old Cathedral, an amazing building that you can’t miss, has been chosen as one of the outstanding UNESCO World Heritage Sites, along with the St Martin Church and the ruins of the Augustine’s Abbey. Your first day walking will see you make your way along the North Downs Way, crossing over gentle hills. This is a historic way used by pilgrims travelling to holy shrines. Along the way you will pass through the small village of Patrixbourne where you can observe the beautiful stained glass windows of Saint Mary’s norman church. Your stage today is easy, passing through orchards, fields and hamlets on mostly pathways. Today you will continue on the path of the North Downs Way before following minor roads into Dover, “The Lock and Key of England”. This is a peaceful part of the ‘Camino to Rome’ walking route along minor roads, passing fields and farms as you make your way downhill to the town of Dover. 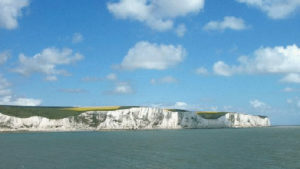 While there you can’t miss the 12th century Dover Castle, which is built on top of Dovers famous white cliffs. 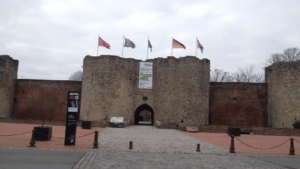 The castle itself has a vast military history, as the first place to repel invaders from mainland Europe. 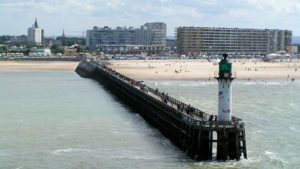 Today is a break in your walking holiday because you will spend it on the ferry to Calais, crossing the English Channel. 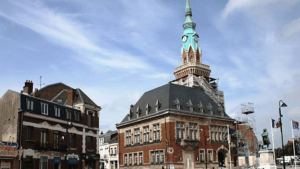 Almost the entire town of Calais was destroyed by heavy bombardments during world War II, and you can visit the war museum, located in the former German wartime military headquarters. 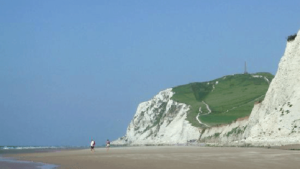 Today, you will walk along the Cote d’Opale, with its long sandy beaches and high white cliffs. This route offers you magnificent views of the coast. Wissant, the end of your stage, has long been a fishing village. 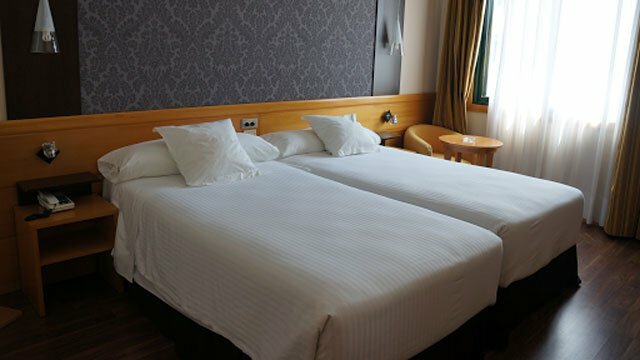 There you will find all the facilities you may need. Popular attractions in Wissant include the 15th century church of Saint Nicholas and the 17th century fortified manorhouses. Today you will follow the GR128 on farm tracks and small road until Guines. You will walk along the game reserve “Mont de Couple”. From the summit you will have a beautiful view of the English Channel. 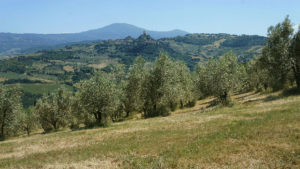 This section of the Via Francigena route follows farm tracks, forest tracks and minor roads. Licques, the end of your stage, doesn’t have as many facilities as the other stages but you can find some en-route. In Licques the culinary speciality is the turkey and the town organise some events involving them, like the Fête de la Dinde in December. Your day walking will be a very pleasant day on small country roads, through a number of villages and woodlands. 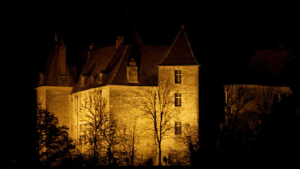 As you are passing the small town of Acquin-Westbécourt admire the 13th century tower and chateau of Prieuré de Saint-Bertin. In Wisques you can see the two abbeys St Paul and Notre Dame. Wisques is only 4km from the town of St. Omer, a middle town where you can find all the facilities you need. Today you will mainly follow local roads. Even if they are short, the hills you will meet in this region are quite steep. 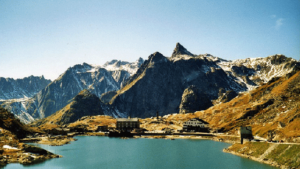 Shortly after you start, you will reach Wizernes and the nearby La Coupole, which was a Second World War rocket base with a huge concrete dome, it is now a museum. 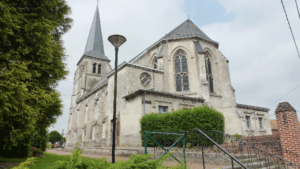 In Therouanne you will see the beautiful Church of St Martin, dating from the 19th century, and also the archaeological site where you can see the remains of the medieval city. On this part of the Via Francigena, you will walk off-road, in open farmland on tracks with good signage. This part of the route is really typical of the region, with a lot of farms and small rural villages. In Amettes you should take some time-out to visit the 16th century church of St Sulpice. 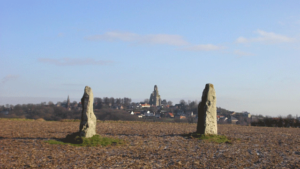 Amettes is also known as the birthplace of Saint Benoit Labry, one of the patron saints of pilgrims. Today, after few kilometres on country tracks, you will start to meander through former mining villages and past open-cast mines. The area was leading place of the mining industry in the 19th and the early 20th century. 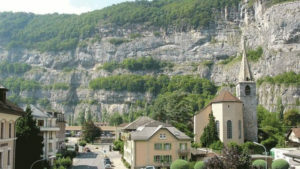 In La Buissiere you will find a Museum of mining, among a full range of facilities. 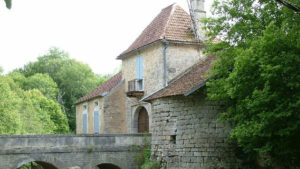 Your route today begins with off-road tracks, first along a disused railway and then along the ancient road ‘Chaussée Brunehaut’. You will finish your walking day on country roads until you reach Acq. 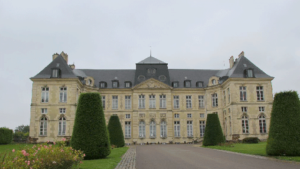 Today is a relatively short walk and soon after the start you will see the first houses of the urban area of Arras. 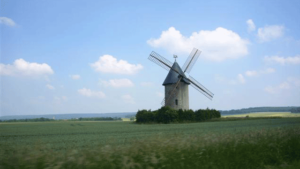 Approaching Arras, you will meander along tracks beside windmills and canals. In Arras, you can’t miss the Flemish influence, especially on architecture. While in town you have to see the Cathedral of Saint Vaast, the historic Town Hall, rebuilt in the Flamboyant Gothic style, the site of the Abbaye de Saint-Vaast and of course the main square “Grand Place”. 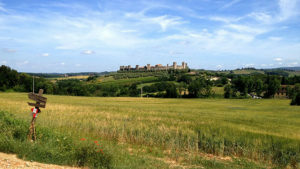 Today your route mainly follows minor roads crossing over farmlands along this picturesque section of the Via Francigena. Bapaume is a small town, which is a crossing point between the plains of Artois and Flandres on one hand, and Somme valley and Paris basin on the other. During the First World War, Bapaume played a major role in the Battle of the Somme. 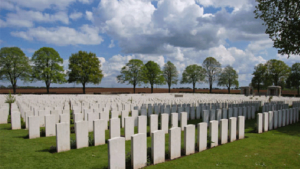 As you are entering the Somme, a French department which is famous for its First World War battles, you will follow an easy route, mainly walking on quiet roads, and sometimes on farm tracks. A lot of the townscape in Peronne was ruined during the second world war and most of it has been reconstructed. Some of the highlights which should be seen, include the Monument to the Fallen, the Historial de la Grande Guerre, and the Porte de Bretagne. Today you will follow minor roads and tracks, through the rural landscape of the Somme and end your walk in the small village of Trefcon. 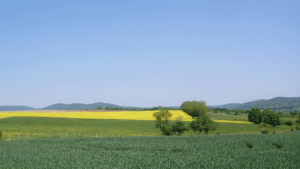 On this part of your Via Francigena walk you will enter the region of Aisne, while still following farm tracks, minor roads and woodland paths, before arriving in Tergnier. Tergnier is a small town, but large enough for you to find all the facilities you may need. 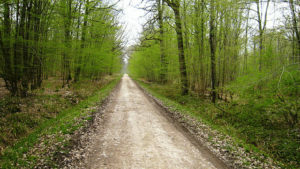 After a few kilometres on minor roads crossing farmlands, you will enter the forest of Saint Gobain, where you will walk on pleasant tracks or quiet roads until the village of Cessiere. There is a stiff climb near the Abbaye of St Nicolas, which will lead you to a beautiful view of the Abbaye and the forest. 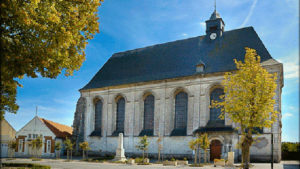 In Cessiere you can visit the small war memorial and the Gothic Romanesque church. Leaving Laon, your route will mainly use pathways, farm tracks or minor roads. 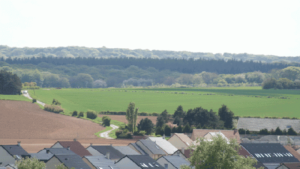 All day long, you will walk along the Chemin des Dames, a 30km long former front line of World War One, which was the stage of several bloody battles. There are splendid views all along this walking route on clear days. You may also see huge craters made by artillery bombardments during those battles. You will arrive in the village of Corbeny through a nice little woodland. After a start on tarmac road, this walking day will use nice off-road tracks. 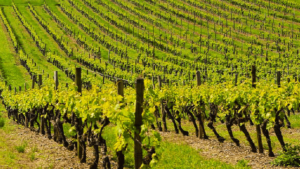 There are some steep climbs in this section, initially through farmland or woodland, and then through the famous vineyards of Champagne. Today, you will mainly follow off-road paths through woodlands and vineyards. 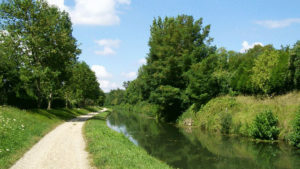 You will arrive in Reims by the towpath of the Canal de l’Aisne et la Marne. 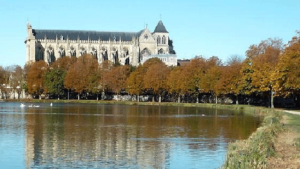 In Reims, you have to see the outstanding Gothic Cathedral, the Place Royale with its statues of Louis XV and Joan of Arc and the Porte de Mars, the oldest monument in Reims. Today your route along the Via Francigena will mainly follow off-road paths, through vineyards and the beautiful forest of Clairvaux. You will have a very steep climb starting off your journey into this forest but you will be pleased with the spectacular views over the Aube Valley when you reach the top. 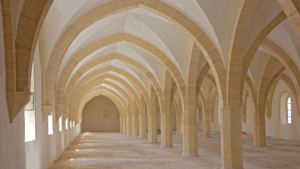 In Clairvaux you will have the chance to see the remains of the ancient Cistercian monastery, founnded in 1115 by Saint Bernard. Guided tours of the beautiful abbey take place at certain times during the year. The route you will follow today is a real walk bringing you off road, through the Aujon valley and using a lot of woodland paths. You will find plenty of resting points and seating along the way. 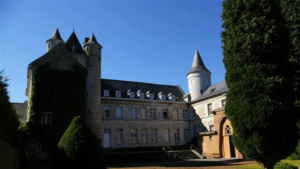 In Chateauvillain, you can see the remains of the ancient fortifications, explore the narrow alleyways and a park of 272 hectares where over 100 deer roam freely. Just like yesterday, the route you follow today uses off-road paths, mainly through woodland. It is advisable to wear bright clothes and not deviate from the tracks for this section in particular as there are a lot of hunters in the area. 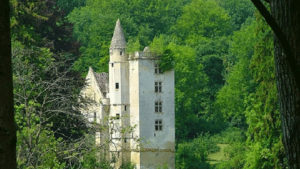 For almost the entire day you will cross the Forest of Chateauvillain, until you reach the small hamlet of Mormant and its old abbey. This section will first use quiet roads until Humes and from there to Langres, you will follow the N19 road which can be busy, with a steep climb. In Langres you can see the Saint Mammes Cathedral, as well as the statue of Denis Diderot, the French philosopher. 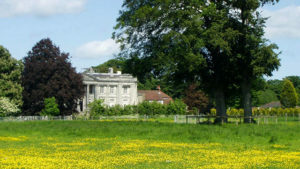 The first day of walking in this section is relatively short, and will bring you to Chalindrey along nice quiet roads. Besides the old village centre Chalindrey has a new look as many of the buildings were restored after World War 2. 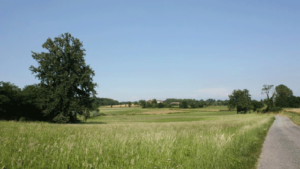 Woodlands, farmlands and small typical villages will form the background of your walk. Today is a long walk and you will follow quiet roads, mainly through forests. 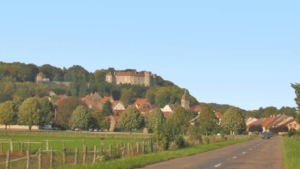 This tree-shaded route is easily followed and leads you to the nice fortified town of Champlitte, where you can visit the castle-museum. 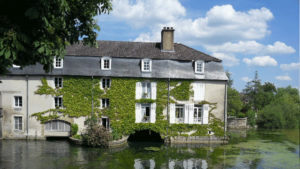 Following quiet roads you will make your way to the follow quiet roads until the village of Dampierre-sur-Salon, passing through several small typical villages along the valley of the river Salon. Once again, your walk along this section of the Via Francigena follows quiet roads to reach the pleasant town of Gy and its beautiful castle. Your walk today is surrounded by greenery and roughly half of the route passes through forests and woodlands on tree-shaded roads. Todays walk starts with a steep climb to a ridge. For the rest of your route you will be surrounded by woodlands so you will enjoy shadowed quiet roads/paths the whole day. Along the way you will pass through the Grands Bois de Gy (Large Forest of Gy). Your walk today is more undulating, and you will alternately cross farmlands and woodlands until you reach Besancon, the final stopping point of your trip. 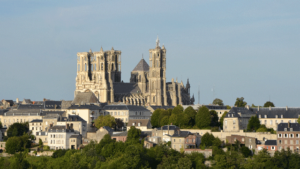 Once there, beside all the facilities you may need, you will enjoy the historic centre, one of the most beautiful of any major town in France, as well as the Vauban’s citadel or the St Jean Cathedral, two highlights of the town. After a few hundred metres along the river Doubs, you will start to meet some climbs. Although some of the climbs may be quite stiff you will be rewarded by the fantastic views at the top. After this climb, you will follow quiet and isolated roads with forest on either side, along river valleys to the town of Ornans. A lovely walking day in this stage of the Via Francigena, using quiet farmland and woodland tracks, or minor roads until Hautepierre Le chatelet. Here we drop down, from the high plateau, to the exceptional Gorges of Mouthier-Haute-Pierre. You will not be disappointed. 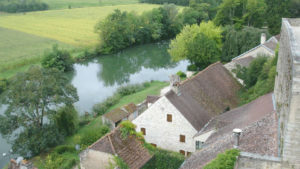 Mouthier-Haute-Pierre is a small village on the bank of the Loue river. Take time to enjoy the narrow streets, cherry meadows and interesting sculptures dotted throughout the town. 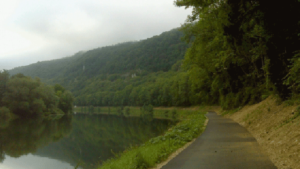 The first 10km of this section passes along the magnificent Gorges. The start of this walking day is a tough climb to the Source de la Loue. Then the route only uses quiet roads on the way to Pontarlier, however these roads become slightly busier as you get closer to Pontarlier. Pontarlier is the largest town you will meet until Lausanne and is the second highest town in France. 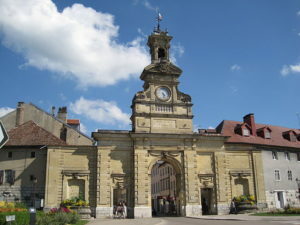 There you can enjoy the Triumphal Arch of the Porte Saint-Pierre (18th century), as well as the Gate of the ancient church of the Annonciades. 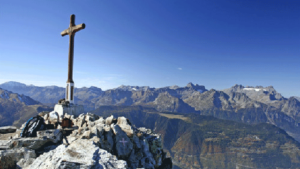 As you are entering Switzerland, one of the four countries along the Via Francigena, your route will become more challenging, and your walking day between Pontarlier and Sainte-Croix is strenuous, climbing to 1152 metres. 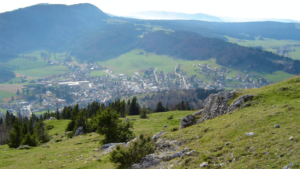 The first off-road section will follow a stiff climb and descent, but you will enjoy a great view of Chateau de Joux from above. Right before Sainte-Croix, the climb of the Col des Etroits is quite difficult, but once again the view you will enjoy before the descent to Sainte-Croix is outstanding. 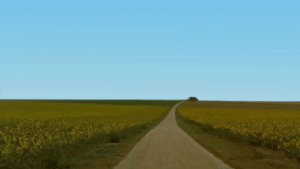 Today, your route mainly follows farm tracks, forest paths and minor roads. This part, unlike the other days, is flat and short, so you shouldn’t have any difficulty to reach Orbe. In the roman and medieval town of Orbe you will find everything you need. 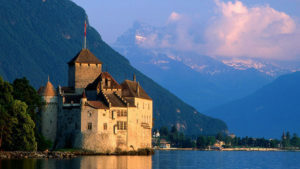 Have a look at the Castle and the Swiss Reformed Church of Notre-Dame. On this section, you will first follow farm tracks before quickly entering the outskirts of Lausanne. 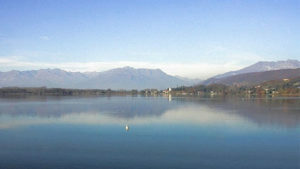 Once in the outskirts you will follow quiet roads until you reach the centre of the ‘San Francisco of Switzerland’. 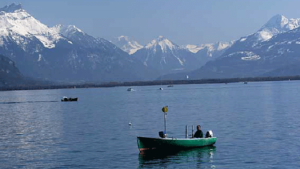 This nickname is due to the fact that Lausanne is scattered with incredibly steep hills, above Lake Geneva. 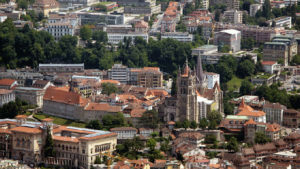 Highlights of Lausanne include the Notre-Dame cathedral, the overview of the Lake and the old town, the Olympic Museum and the Beaulieu Castle. From Aosta the Via Francigena takes you along the northern side of the Aosta Valley, with the river Dora Baltea at its centre. For this reason there isn’t much climbing to be done but the scenery and views are fantastic. The first village you will pass on your way to Nus will be Saint-Chriostophe, where you should check out the 15th century crucifix on display at the local church. 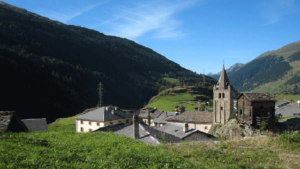 After Nus, the Via Francigena trail continues to descend the green Aosta Valley. 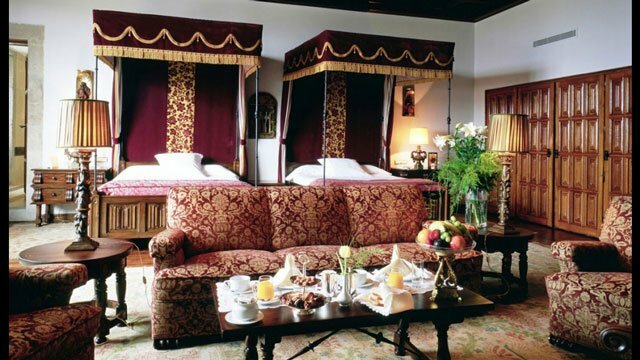 You will be staying the night in the beautiful town of Chatillon with its ancient castle: Castello di Ussel. 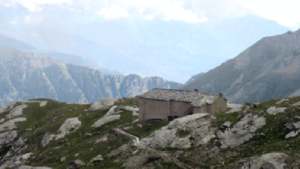 Today’s walk will again see you descend very gradually along the Aosta Valley. The valley is home to 2,000 varieties of plants. Native species that you might also be able to spot on the trail include ibex, deer, foxes and golden eagles, as you pass vineyards, pine forests and chestnut trees. Shortly after your start, you will pass St Vincent, home to a unique micro-climate, with mild winters and cool summers. The town is also famous for the therapeutic mineral water of the Fons Salutis. The town of Verres is dominated by an impressive cubic castle and is a great spot to see Roman and Gothic architecture. 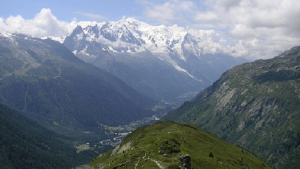 From Issogne you will have another flat and short day’s walk along the Aosta Valley. The Via Francigena trail takes you to Arnad, where it is worth stopping to admire the church of St Martin, a Romanesque architectural gem. You will then reach Bard where you will see the imposing fort. 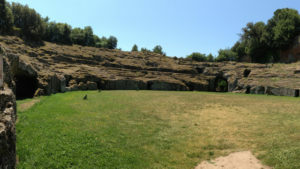 The town of Donnas was of huge importance as a rest stop during Roman times. 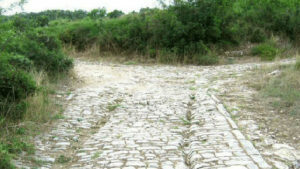 As you come into the town you will see a section of Roman road which is carved into rock of the hillside. 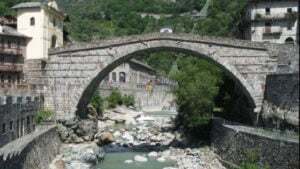 Your destination for the night is Pont St Martin which marks the entrance to the Aosta Valley and is home to an iconic Roman bridge. Today’s journey on the Via Francigena takes you across Pont St Martin and out of town, heading south along the valley of the Dora Baltea river. 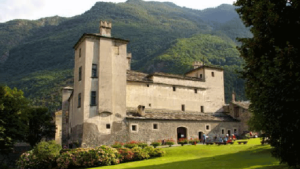 Along the way you will pass Settima Vittone and its 9th century church; Borgofranco d’Ivrea and Montalto Dora and its impressive 12th century castle. 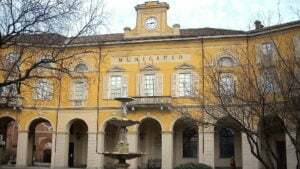 Your destination for today is town of Ivrea, where we recommend you take time to visit the many interesting historical buildings. It is also known for its annual ‘Battle of the Oranges’ carnival. From Ivrea the Via Francigena trail heads away from the Dora Baltea river and takes pilgrims into farmland. 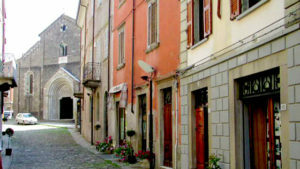 You will pass the peaceful villages of Bolengo, Palazzo Canavese and Piverone. There is a short climb before you reach today’s destination: Viverone, sitting pretty on the shore of the lovely Lago di Viverone lake. 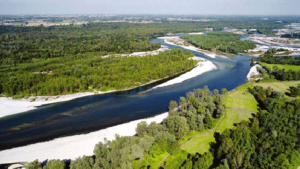 From the Viverone Lake, the Via Francigena makes its way through woodlands and over the last hill before the flat Padana Plain opens out in front of you. 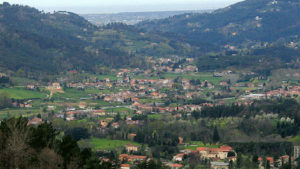 After passing the village of Cavaglia you will be once again walking in farmland. The gradual descent begins to level out as you make your way into Santhia, your stop for the night and a busy agricultural hub. Today is a flat and easy walk through farmland. Many of the surrounding fields are frequently full of water as they are used for growing rice. Your destination is the town of Vercelli, a bustling university town. There are many wonderful sights for you to enjoy in Vercelli, including the central piazza, the cathedral and the Basilica di Sant’Andrea, one of the best preserved Romanesque buildings in Italy. On leaving Vercelli you will cross the river Sesia. 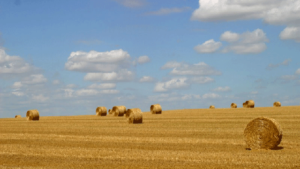 The trail takes you again on flat land and you will make your way through lush farmland. After about 7kms you will come to the edge of the Sesia valley. The Via Francigena trail continues for another couple of kilometres between the river and farmland before taking pilgrims into a wooded area. You will cross a stream and some more farmland before reaching the village of Palestro where there is a large memorial to the victims of the Battle of Palestro which took place during the second Italian War of Independence in 1859. 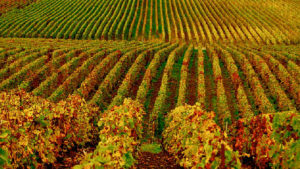 You will continue walking across farmland on your way to Robbio, an important trading post on the road from Rome to Gaul (France). Today, the Via Francigena continues through farmland and forests following a very flat and easy itinerary until the small town of Mortara, your destination for the day. You should be there for lunch and make sure you sample the local speciality of Salame d’Oca: goose salami. Today, the Via Francigena trail takes you along a perfectly flat walking trail, again through farmlands as well as peaceful woodlands, from Mortara to Garlasco. 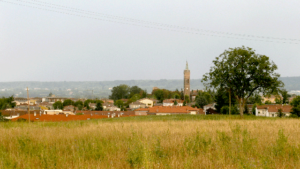 From Garlasco, the Via Francigena takes you to the farmlands of the Padana Plains before reaching the town of Zerbolo. 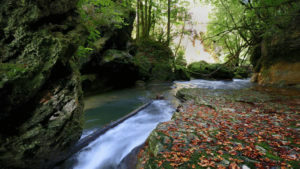 After Zerbolo, the Francigena trail follows the course of the river Ticino, in the heart of the Ticino Valley Natural Park. The park was the first riverside park of its kind in Europe and is a conservation area for many species of birds. 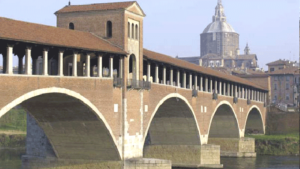 You will then cross the river and walk up to the hilltop town of Pavia, a beautiful university town, home to a great amount of artistic, cultural and historical treasures. Today’s walk on the Via Francigena is a flat trek through farmland by the River Ticino. From here you will leave the river behind and head for the town of Belgioioso, where you should sample the local cheese and pork products, traditional of the region. Castle of Belgioioso is also well worth a look. 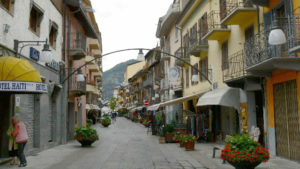 Your day finishes in the town of Mirandolo Terme. 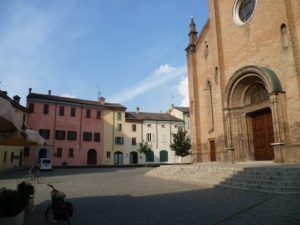 Today the Via Francigena takes you to the lovely city of Piacenza. Make sure you explore the historic centre in this fantastic city: the Palazzo Comunale in Piazza Cavalli, Piacenza cathedral and other many impressive churches in town. From Piacenza, the Via Francigena to Fiorenzuola follows a flat trail in the valley of the river Arda in the Emilia-Romagna countryside. 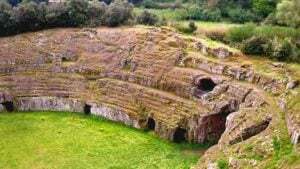 This particular area is home to some of the oldest human settlements in Italy. 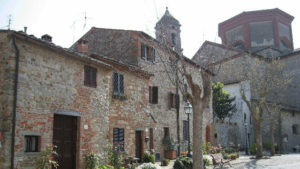 The town has long been a feature of the Via Francigena, which is evident from the fact that there are a number of pilgrims hospitals in the area. PS: Even though this is quite a flat and easy walk, this day may seem quite long. 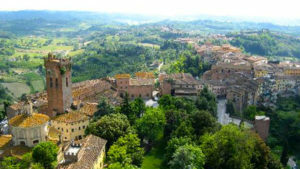 An option is to take a taxi from Piacenza (fare not included) to skip the first few kms out of the city. 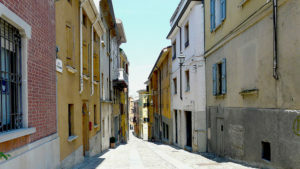 This walking day is really easy and flat , the route usually uses country roads, between Fiorenzuola d Arda and Fidenza. Make sure you visit the cathedral in Fidenza and grab a few supplies in the town’s farmers market, stocking delicious fresh local produce. After leaving Fidenza, the well marked route starts to climb into the rolling hills of the Appenines, mainly following farm tracks. 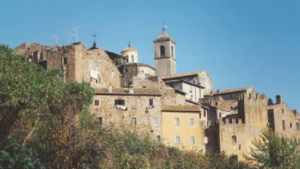 Today’s section takes you to the town of Medesano. Today is a short walking day, along the banks of the Taro river to Fornovo. 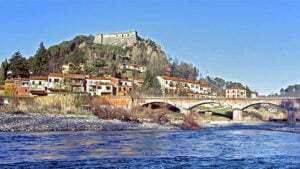 The town has always been an important crossroads, and it is here where the Via Francigena and the bridge over the Taro river meet. From Fornovo the Via Francigena moves away from the Taro river and begins to climb gradually into the Apennine Mountains. The trail passes through woodlands and agricultural fields. 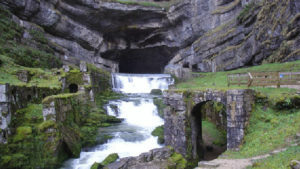 Along the way you will see the unusual rock formations of the area known as ”I Salti del Diavolo”. From the village of Bardone the trail begins to climb more steeply up to the second highest point of the day at about 930m. Continue through woodlands and open ground today where you will continue on a twisting trail which goes up and down until you reach the village of Berceto. 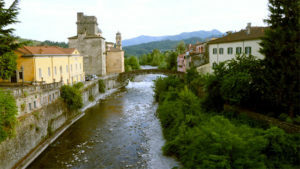 Pontremoli sits on the river Magra and you will cross the impressive 4th century bridge to enter this lovely town. Your last walking day on this section of the Camino to Rome, the Via Francigena, takes you down a gently sloping trail, tracing the valley of the river Magra. 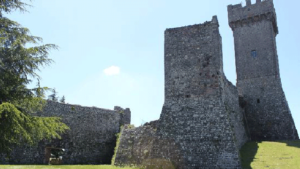 On your way to Aulla, you will pass the villages of Villafranca in Lunigiana and Terrarossa, where you will see one of the many castles of the Malaspina noble family. 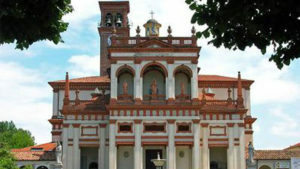 Before reaching Aulla you will pass the abbey of St. Caprasio, dating back to the 9th century. Today you will climb sharply from the valley town of Aulla up to the beautiful hilltop village of Bibola. From here you will continue to climb past the ruins of Brina Castle before reaching the highest point of this section, which comes after about 7km. After this you will leave the Apennine Mountains behind and catch the first glimpse of the sea before you start descending. Your destination for today is Sarzana. The town was of great importance in Roman times and the cathedral, citadel and Castle of Sarzanello are all well worth a visit. Today you will take a variation of the Via Francigena route, following a track along the coast all the way to Marina di Massa, a coastal town where you can enjoy the sea breeze and the beach. 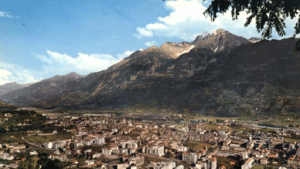 In the background, you will spot the white mountains of the famous Carrara marble. You will continue your walk following the coastline for the main part of the day, before turning left towards Pietrasanta. 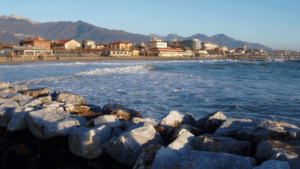 From then on, you will be back on the usual small country roads and tracks until you reach the town of Camaiore. After Camaiore, the Via Francigena trail climbs gradually for the first 8 kilometres before dropping down through woodlands to a valley taking you all the way to Lucca. 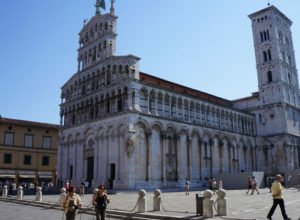 Lucca is a fantastic walled city on the banks of the river Serchio. 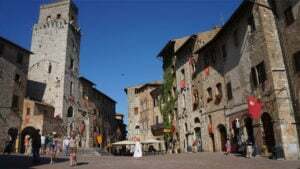 The city has been settled for nearly 2,000 years and is full of great sights: lively squares, Tuscan churches, impressive towers… take some time to stroll around the historic center, enjoying the architecture and soaking up the city’s atmosphere. 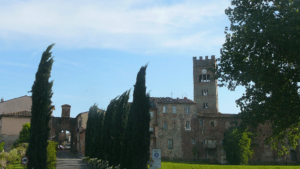 The Via Francigena takes you out of Siena by the city gate and quickly reaches a country road. After a short section along a busy road, the Via Francigena takes pilgrims on to farm tracks. 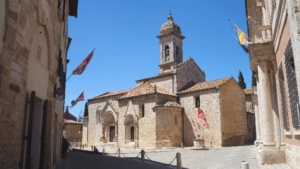 From Lucignano, the Via Francigena trail mainly follows country tracks, all the way to medieval Buenconvento, meandering through pretty Tuscan hills. 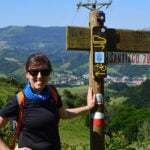 Today, you will continue on your Camino to Rome walking in the rolling Tuscan hills, on the famous ‘white roads’ or sometimes on tarmac road. 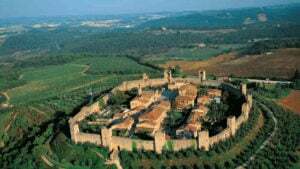 Your destination is the lovely medieval town of San Quirico d’Orcia in the heart of the UNESCO-listed Val d’Orcia, the valley of the Orcia river and its famous vineyards. The Via Francigena trail takes you today across the rolling hills of the magnificent Val de Orcia Natural Park for most of the day. Your destination for the night is Gallina. From Gallina, you will make your way to Radicofani. Radiocofani is dominated by the castle with its impressive tower. The views from here are stunning. 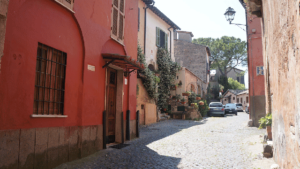 Today you will be walking the Via Francigena to the village of Acquapendente. 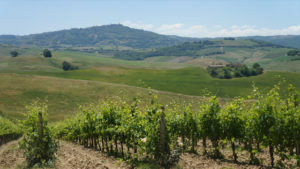 Today, the Via Francigena will take you over more rolling hills, across farmland and woodlands. 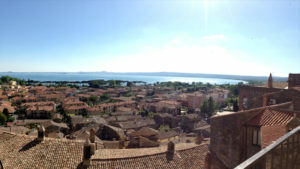 As you gradually climb you will have breathtaking views back over Bolsena Lake. 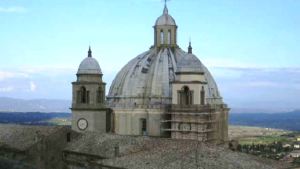 Montefiascone is your stop for the night, a bustling town with many interesting sights, including a cathedral. It is also a great place to sample the local cuisine and wine. 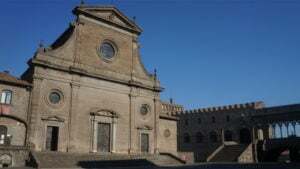 Today, the Via Francigena, Camino to Rome, takes you to the province of Viterbo. 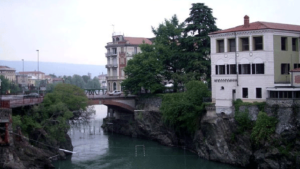 On the way, you will pass the Bagnaccio hot springs, where you can treat yourself to a relaxing break; the hot springs are said to have curative powers. 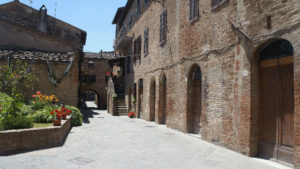 Viterbo itself is a beautiful old town, with plenty to see and do, including the Papal Palace, San Lorenzo Cathedral and the Medieval quarter. You have many options to get to Canterbury city center (bus transfer, taxi, underground) from any of the London’s Airports. See journey www.tfl.gov.uk to have an overview of your journey. By train: from Ramsgate station (8 minutes away from the airport with a taxi) to Canterbury : 30+ minutes, £4.60 off peak single £6.90 anytime single.High speed train is only one hour but costs £30pp, from London St Pancras (http://www.nationalrail.co.uk/). Lille Airport 98km: take the national train to Lille (50min), look at uk.voyages-sncf.com , then take the shuttle bus just in front of the Euralille shopping centre, at the bus stop marked ‘Liaison Aéroport’ (20min), lille.aeroport.fr. – Roissy Charles de Gaulle airport, take the subway line B (RER B) towards Aeroport Charles de Gaulle (30min). London Airports: you have two options to get to London. 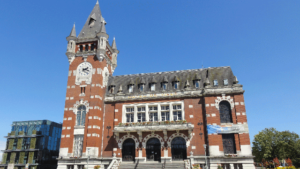 The first option is to use the national train from St Omer to London (around 3h with 1 or 2 changes) or you can take the national train to Calais and from there take the Eurostar (around 1 hour). You will arrive at St Pancras Station. See www.eurostar.com. From St Pancras Station see www.tfl.gov.uk to get around the airport where you flight from. 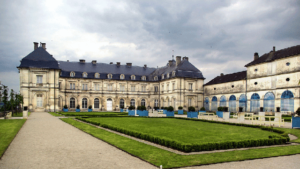 If landing at Charles de Gaulle Airport you can take a train directly to Arras. 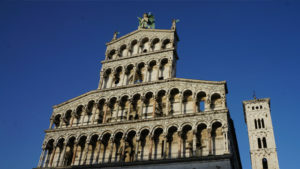 See http://www.raileurope.com/index.html, ticket from €20 if you book in advance. If landing in Orly airport you need to reach Paris Gare du Nord. To get to Paris Gare du Nord you have to go first to Antony. You can take a bus, tram or taxi to Antony from Orly, see http://www.aeroportsdeparis.fr/ADP/fr-FR/Passagers/Acces-Plans-Parking/Paris-Orly/Acces/Transports-En-Commun/), then you need to take the Paris Subway lines www.ratp.fr/plan-interactif, with RER B from Antony station to Gare du Nord. It takes roughly 20 minutes and the ticket is €5-10 rate. 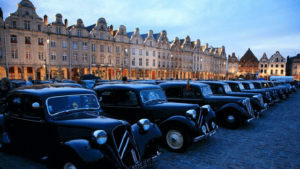 From Gare du Nord take the train to Arras, ticket from €20 if book in advance, http://www.raileurope.com/index.html. You can take the train from Laon to Paris (http://www.raileurope.com/index.html), the journey won’t take more than 2hours, and won’t cost more than €25pp. Once you are in Paris, public transport will get you to your airport, http://www.aeroportsdeparis.fr/ , and if you need to go to Paris Beauvais airport, you have to take a shuttle bus departing from Porte Maillot, in Paris (http://www.aeroportbeauvais.com/bus.php?lang=eng). To reach Paris Gare de l’Est from the different airports, the cheapest way is to use Paris subways. Fare tickets from €5. See www.aeroportsdeparis.fr/public-transport and www.ratp.fr/itineraires to plan your journey. Although, Paris Beauvais, is 1 hour away from Paris, so you have to take a shuttle bus to Paris centre, drop you off in Porte Maillot, see www.aeroportbeauvais.com/bus for timetable and fees. To get to Bar-sur-Aube from Paris airports the easiest way is to take the train from Gare de l’Est in Paris, www.raileurope.com. It takes roughly less than 2 hour for €40 one way. By Taxi, to reach Paris City Centre it’s from €50-70 fare. Be aware that fare can increase by the time you land. See www.aeroportsdeparis.fr/Access/by-taxi for more information. A train between Paris and Langres takes 3 hours. 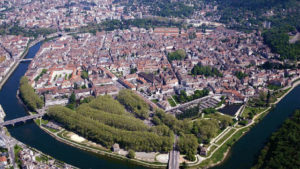 The best way to reach Besancon is via the TGV (high-speed train) from the below access points. Geneva International Airport 170km: Geneva is 4 h 00 away by TGV (high-speed train) + local trains. First you need to reach Geneva city centre by taking SNCF trains (fare from €50). Once in the City Centre, the airport it’s only at 4km away and it’s well served by public transports (trains, tram, bus…). See www.gva.ch/en for more information. Turin Airport 82km: There is a shuttle bus from the airport to Torino Porta Nueva. Travel time is approximately 40 minutes. See www.sadem.it. 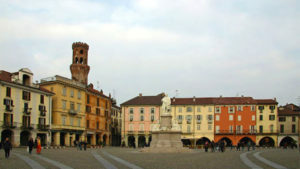 From Turin you can take a train to Vercelli, taking approximately 50 minutes. See www.trenitalia.com. Milan Airports: trains run between Milan and Vercelli regularly (taking approximately 1 hour). There are various options to reach Milano Centrale from the airports. Milan Airports: There are various options to reach Milano Centrale (Milan Central train station), as many trains, shuttle buses and urban buses operate from the airport. 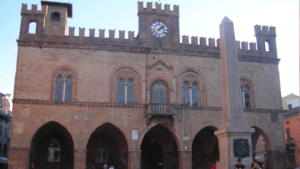 From the station you can take a direct train to Piacenza, taking approximately 50 minutes. Pisa International Airport 85km: take the train from Pisa Airport to Aulla (via Pisa Centrale Station). Train info www.trenitalia.com. This journey takes between 1h 40mins and 2 hours. 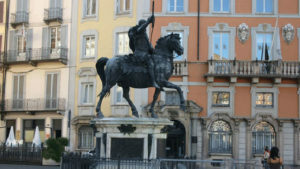 Genoa Airport 111km: take the 30min shuttle bus from the airport to Genoa Principe Train Station. For bus info, see: www.airport.genova.it. From here you can take a direct train (2h10mins) or a train (changing in Spezia) which takes 3 hours. For train info, see: www.trenitalia.com. Bologna Airport 151km: Shuttle bus from Bologna Airport to Bologna Central Station (every 11 mins, €6 one-way). For more information see: http://aerobus.bo.it/en. 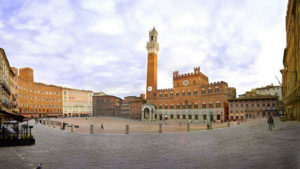 Train to Florence (34mins), change to regional train to Lucca (1h20). Fares from €24. 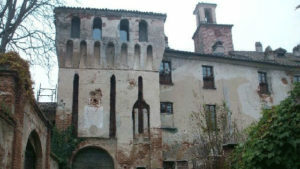 For more information see: https://www.lefrecce.it/.